Born December 11, 1918 in Grand Rapids Michigan, passed away on November 1, 2018 at Porter Hills Retirement Community. He was preceded in death by his wife, Jane Hibbard Idema, with whom he had been married 60 years, and he was also preceded by his sister, Mary Louise Gamble. Henry is survived by his five children: Rev. Henry Idema III, Margaret Idema, Peter (Vicki) Idema, Anne (Peter) Albano, and Fred (Carey) Idema as well as his seven grandchildren and seven great grandchildren. Henry served his country for four years in the Marine Corps during WW II. When he arrived back in the United States after the war, it was the same day that Jane returned from serving in the American Red Cross overseas and that was the start of their four month courtship before being married. 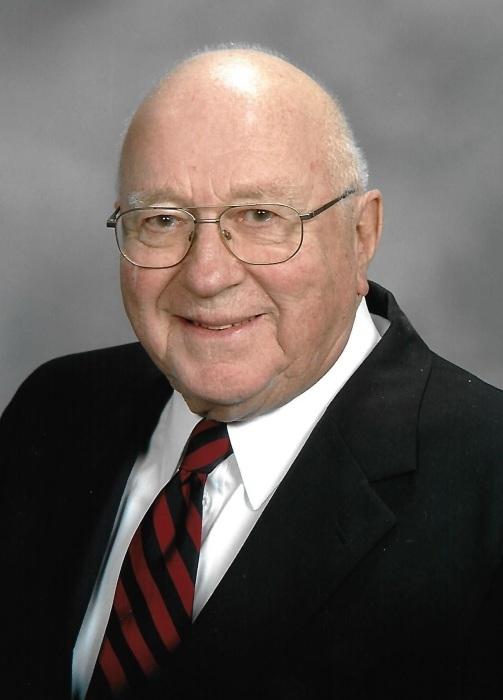 Henry was President of Manufacturer’s Supply Company (MANSCO) for over 25 years, was on the Blodgett Hospital board and also served as Vice Chair of the United Way. He loved to entertain his family and friends at their cabin near Irons, MI and was an avid outdoorsman who enjoyed hunting, fishing and cross country skiing. Hank also enjoyed a good game of competitive tennis and played well into his 80’s. Hank and his family are grateful for the care he received from Homewatch Caregivers in his declining few years. He will be missed by all of his family and many friends. A Memorial service will be held on December 8th at 4pm in the Metcalf & Jonkhoff Chapel. The family will greet friends two hours prior to the service at the funeral home from 2 to 4pm. In lieu of flowers, please consider a donation to a charity of your choice or to the Grand Rapids Community Foundation (185 Oakes Ave. S.W. Grand Rapids, MI. 49503) for the benefit of the Camp Henry Endowment Fund.